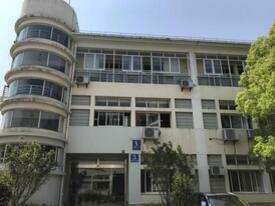 Shenzhen Maxi Biotechnology Co., Ltd. is specialized in Research, Production, Process and Sales. Our main products are steroids powders . They are widely used in medicines, food, beverage, cosmetics, food supplements, health products and other industries. Main products including: Testosterone Enanthate, Testosterone Propionate, Testosterone Cypropionate, Nandrolone Decanoate, Trenbolone Acetate, Oxandrolone, Methandienone, Oxymetholone, Winstrol, Boldenone Undecylenate, Drostanolone Propionate, Methenolone Enanthate and so on. Our company invests large fund and brains to R&D of steroid powder production to fit the demand of the market. All steroid powders are produced under ISO9001:2008 condition and can reach to USP standard. The company have a complete and strict QA&QC system. All of the steroid products are tested by our laboratory center before sending out, such as HPLC, GC and UV spectrophotometer. Our company has absolute advantage, Based on more than 10 years' experience in this industry, we have established perfect manufacturing management system, quality assurance system and sales service system. Products mainly sold to pharmacy company and health care company in abroad, like USA, Canada, Netherlands, Poland, New Zealand, Russia, Australia, Brazil, Europe and so on. Our company's business is based on Honest, Trustworthy, Constantly to Go Beyond and Achieve Mutual Win. All the staffs will be in fullest of sincere to provide a higher quality steroid powder and liquid. The company has gained a good reputation among the new and regular customers. We will work harder and we are devoted to become the major brand of Chinese steroid supplier. Sincerely welcomes all the guests worldwide and gets ready to cooperate with you.